Inside Youth Sports: To Succeed in Team Sports, Keep Your Head Up! Have you ever watched a beginning soccer or basketball player dribble a ball? Typically, this young player is constantly looking down at the ball—especially when closely defended. 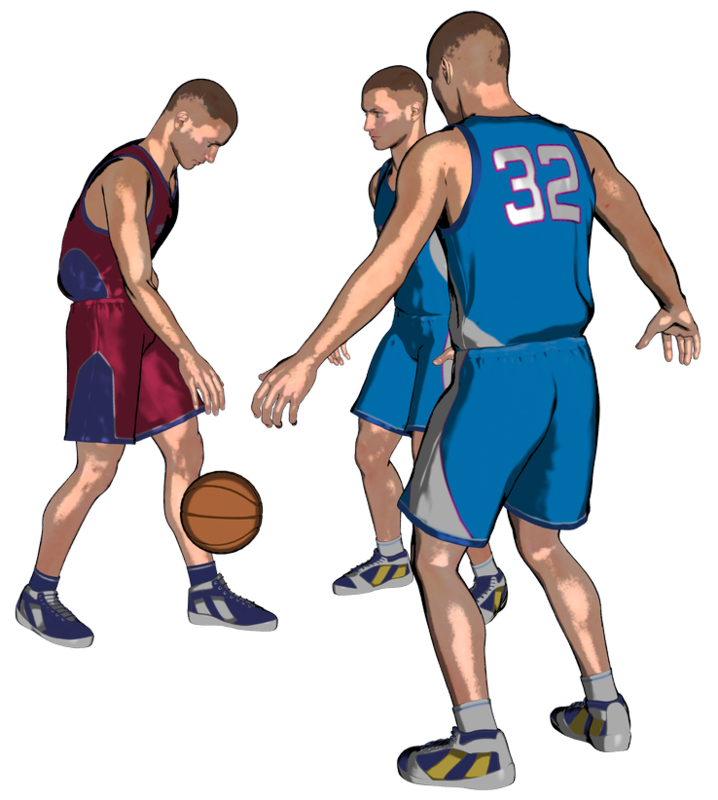 This behavior is understandable as the player has not yet developed the skills and confidence necessary to dribble the ball without looking at it. Unfortunately, more advanced players often demonstrate the same behavior. When under pressure (or trying to score) they turn their head downward, exerting all of their concentration and effort on advancing the ball or puck past their defenders. The problem with this behavior is that success in sports depends on knowing where teammates and opponents are located, where advantage and disadvantage situations exist, and how best to get the ball or puck to, and into, the goal. To recognize opportunities and play your best, you must be able to see the entire playing field, court, or ice—and that means keeping your head up whenever possible. The ability to do so, especially when trying to control a ball or puck against defensive pressure, depends on your skill level and confidence. You must become comfortable performing these skills while focusing most of your attention on the action around you and elsewhere. How do you develop this ability? Even without watching a moving object, your mind has an amazing capacity to know where the object will be. Absent visual information, your mind turns to other senses. A kinesthetic sense of body position and visuospatial perception of spatial relationships take over. They create within your your mind's eye an awareness of an object's location in time and space. Using these senses, your mind can accurately predict where an object is and where it will be. But what if you don't yet have the ability to perform certain skills well without looking at the ball? How can you still succeed when you have difficulty controlling the ball or puck against aggressive defenders? Well, keeping your head up gives you another advantage. It enables you to recognize defensive pressure before it’s applied. And by doing so, you can often avoid more difficult situations. 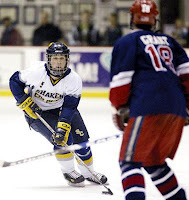 By keeping your head up, knowing who is open, and passing the ball or puck to a teammate before your defenders arrive, you preempt the pressure. You avoid the potential turnover. And even lacking outstanding ball or puck handling skills, you still succeed. Keeping your head up can also lead to better scoring opportunities for both yourself and your teammates. Passing to an open player closer to the goal (possibly a long pass) is almost always the easiest way to score. But if your head is down, you waste these opportunities. Closer to the goal, the same principle applies. As you drive toward the goal, you will likely draw defenders toward you. If your head is up and eyes forward, you can recognize opportunities to make a pass to an open teammate for an easy goal. And should you see the defender retreating to cover your teammate, you can instead attempt to score the goal yourself. Also, by keeping your head up you see all of the little clues that can provide you or your team with an opportunity to gain advantage. For example, you may see that a teammate's defender is overplaying the passing lane and is susceptible to a backdoor cut. At the same time, your teammate may move his eyes or make some other subtle gesture to let you know that he also recognizes the same opportunity and wants you to be ready to make the pass. Finally, you must keep your head up to avoid injury. In contact sports such as hockey or football, collisions between players (intentional and unintentional) are part of the game. To lessen their impact and to avoid hurtful hits, you must be aware of player movements and recognize potentially dangerous situations before they occur. Likewise, you also need to be aware of balls, pucks, or other fast moving objects that can cause injury. So if you want to play your best, and not be sidelined by injury, keep your head up! Hey Jeff, I have to say that my first reaction was, well, you're not talking to golfers. (I was a collegiate golfer.) But more helpfully...I believe I remember reading about a basketball coach who used to take his players walking down "main street" of their town. They were required to look straight ahead while reading the store signs in their peripheral vision. I wonder how dribbling a basketball would have affected this practice. And how experience would have made them into better "readers." I think the tricky thing for kids new to a game is the attention necessary to execute a skill. Visual input is critical. But distractions of all sorts enter in and the good coach recognizes the need to introduce these. Making them "undistracting" allows "attention" to that kinesthetic awareness. Thanks for your insight on the path to kinesthetic awareness. Like all learning it's a process—one that starts with a lot of visual input and slowly progresses to an ability to feel where your body and external objects are at any moment. And as you also pointed out, the expert is able to filter out distractions and "listen" to the flow of kinesthetic input. Any further thoughts on learning to keep your head up in your favorite sport (soccer)? Hey Jeff, my teaching "mantra" with athletes in...my favorite sport(s)...is bend your knees, be on the balls of your feet and "head up, be ready to play." With "closed chain" sports like golf, where unifocal attention is critical, shutting out all other input is essential. (free throws and penalty kicks would be other examples) For "open chain" movements, where the skill is modified in the moment,the (my) three B's above are key. Perhaps the most interesting is the third. The first 2 prepare the body in a balanced, move in any direction, manner. The third, be ready, requires "heads up." In soccer, this is way more than watch the play. In fact, ball-watching can be a great detractor. I use the 'swivel-head' coaching cue. Have them become aware of their space in three dimensions and practice this at all times. We would dribble at random and I would stop them suddenly and have them squeeze their eyes shut. Then I would call on one or two and ask them to point to the person nearest them. They got bonus points if they could tell me who it was. The other thing about "be ready" is that once you know what your surroundings are you always have to be rehearsing what you'll do if the ball comes to you. At least that narrows your focus and, I think, reduces your response time. Heaven knows you need all of that to accommodate the ball played behind you, too hard and to your weak side. As always Wendy, excellent comments. Thanks!